Researchers seek to print body parts Jump to media player Researchers at the University Medical Centre Utrecht are using stem cells in 3D bio-printing. New 3D printer 'grows' its objects Jump to media player A new method of 3D printing that uses light and oxygen to grow solid objects was inspired by a Hollywood film. 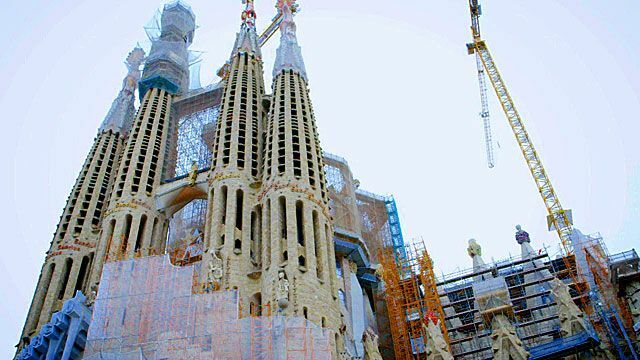 Construction of the Sagrada Familia church in Barcelona began in 1882 and the building is still unfinished. It was designed by Catalan architect Antoni Gaudi but by the time of his death in 1926, it was only one quarter complete. The project, which relies on private donations, has developed slowly ever since and it is hoped the church will be completed by 2026. And as BBC Click's Spencer Kelly discovered, the 21st Century technology of 3D printing is now playing a crucial role in ensuring this 19th Century project will be completed. More at BBC.com/Click and @BBCClick.